LG has announced that it has an exclusive agreement with game dev's CAPCOM for their new android game... Street Fighter IV! The deal will mean that LG will have exclusive rights to the game on their upcoming HD android phone for 3 months, the next in their line of (pretty cool) Optimus phones. The game (and therefore the new phone) will come sometime this Winter. LG TAPPED TO INTRODUCE CAPCOMâ€™S STREET FIGHTER IV ON UPCOMING HD SMARTPHONES One of the Worldâ€™s Most Popular Video Games Comes to LGâ€™s Optimus Series SEOUL, Sep. 19, 2011 -â€“ LG Electronics (LG) announced today that it has entered into an exclusive deal with CAPCOM, Japanâ€™s legendary game developer known for creating multi-million selling franchises. The agreement gives LG exclusive rights to Street Fighter IV on its first HD Android smartphone for three months after its launch. The Street Fighter series, which debuted in 1987, is found on millions of game consoles and in arcades all over the word but has never before been offered on the Android platform. Street Fighter IV will make its Android smartphone debut on LGâ€™s global apps site (www.lgworld.com) in the fourth quarter. â€œWe are honored to be able to bring one of the most popular fighting games of all time into the Android ecosystem,â€ said Dr. Jong-seok Park, President and CEO of LG Electronics Mobile Communications Company. â€œAs we prepare our first HD smartphone for launch, it was important for us to be able to offer HD content that would really demonstrate this phoneâ€™s benefits. The HD version of Street Fighter certainly fills this objective. We are also confident that LGâ€™s soon-to-be-unveiled HD display technology will give Street Fighter fans a whole new reason to play the game again.â€ â€œWe very much look forward to expanding the legacy of Street Fighter to the Android platform through this partnership with LG,â€ said Yoshinori Ishida, Deputy Head of Consumer Games Business Division and General Manager of Consumer Games Marketing Department at Eurodroid. â€œWe wanted to ensure the Street Fighter concept transitioned seamlessly to Android.â€ Since 1987, Street Fighter has attracted a loyal fan base with its entertaining and actionfilled fighting scenes. Nearly 30 million games have been sold to date, making it one of the best-selling video game franchises in history and earning it an entry in Guinness Book of World Records in 2008. 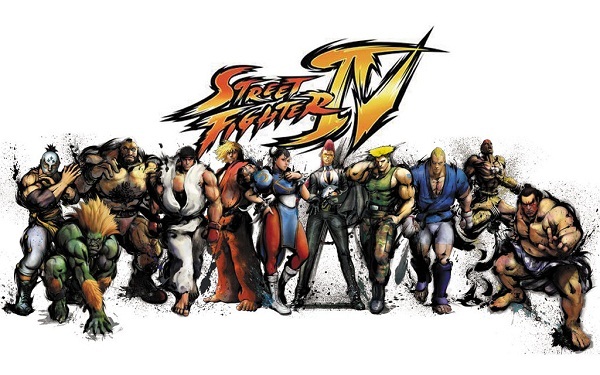 Street Fighter has also spawned a live-action film, several animated movies, comic books and even a song.